Kolkata: A car in Chief Minister Mamata Banerjee’s convoy met with an accident in Kolkata today. Two policemen have been injured in the accident and the car has been badly damaged. 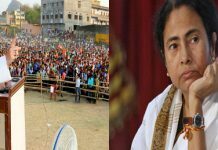 The accident occurred in the afternoon when the CM was going from Nabanna to Dakshineswar Kali Temple to inaugurate the newly built skywalk. 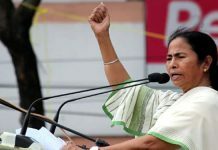 It was the last car, a Mahindra Bolero SUV, in the convoy that overturned on the road near Salap in Howrah. The security guards of urban development minister Firhad Hakim were travelling in the SUV and two of them suffered injuries. They have been hospitalised. A preliminary report suggests that another SUV that was moving ahead of the mishap-hit car suddenly applied a hard brake. In order to avoid a collision, the driver of the last SUV applied emergency brake and the vehicle ended up turning turtle on the road. 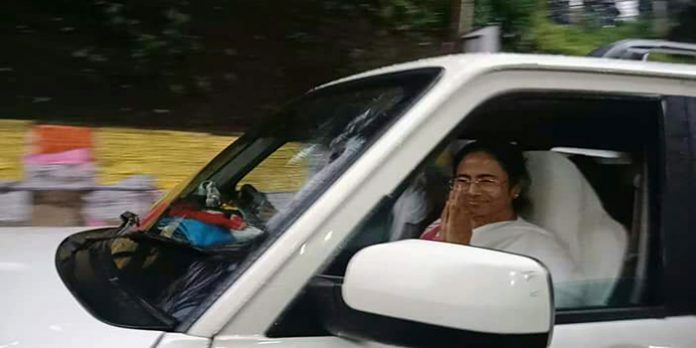 CM Banerjee, who was travelling in a small car positioned second in the convoy of six cars, stopped and asked her security guards to take stock of the situation. 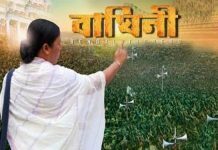 She resumed the journey for Dakshineswar only when told that the injury to the policemen is not critical and they are being moved to a hospital.